Our International FJ sails are designed to be the fastest FJ sails on the market and are built tough to withstand the rigors of youth sailing. 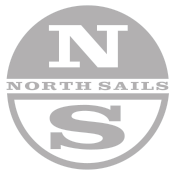 Our sails demonstrate the quality for which North Sails products have always been known, while meeting the requirement of the varied styles and demands of the FJ sailor. The North Sails FJ Race Jib is also built out of durable, low stretch and strong 165 HTP sail cloth. It features a fuller shape to give the FJ some punch through the waves. A round entry makes the groove wide for easy steering.